Precisely machined Accel distributor gears provide balanced, close-tolerance mesh with camshafts. Bronze gears with improved alloy are for use with steel billet roller cams. 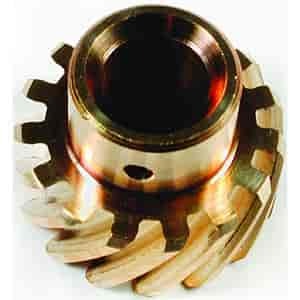 Iron gears are designed for iron camshafts or roller cams with existing iron gears.